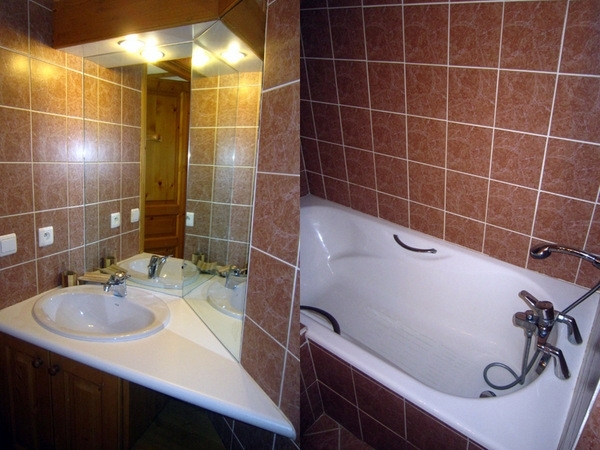 Developed and fitted to an extremely high specification in 2011. 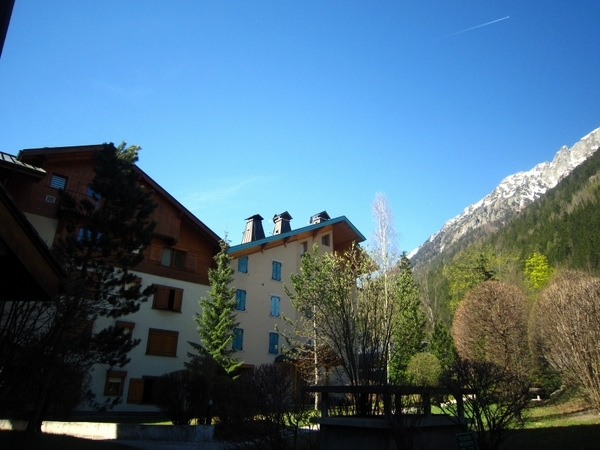 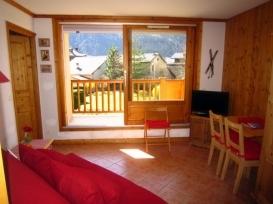 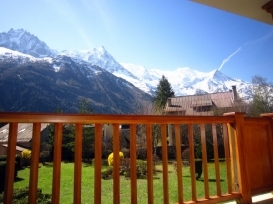 Situated in the prestiguous Les Chalets du Savoy development in a pleasant residential area 1 minutes walk from the centre of Chamonix Mont Blanc, this recently renovated and well-appointed apartment will comfortably sleep 4 people. 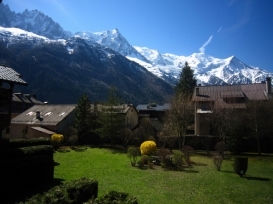 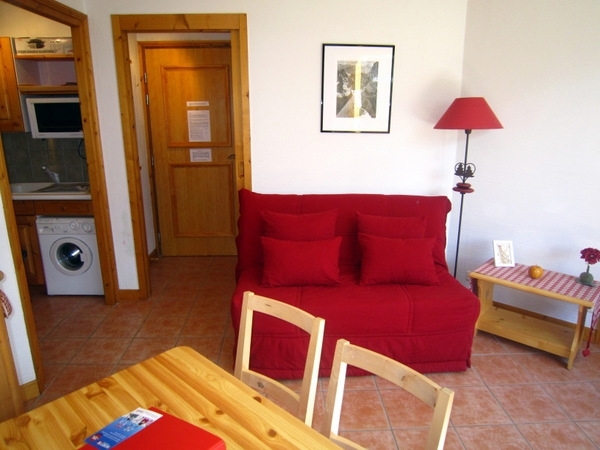 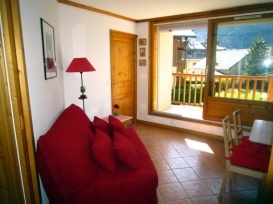 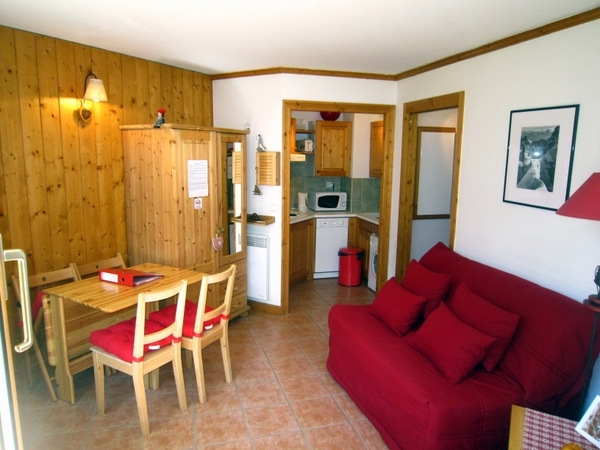 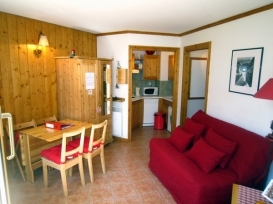 The apartment is particularly recommended for families, small groups of friends or a couple looking for an attractive, cosy 'pied-a-terre a Chamonix'. The location is fabulous, right in the centre of town as well as being next to the ski slopes - Le Savoy teleski - where all the main ski schools start and young children can be put into day ski creches. Chamonix's amenities and main attractions are on the door step - beginners' ski-pistes, access to Le Brevent ski area within 5 minutes, free ski-bus stop to all the valley's ski areas directly outside, 3 minutes walk from the main shops and market, 1 minutes walk to the sports centre (swimming pool, sauna, hammam, tennis courts, kids play area, indoor climbing wall, and rafting starting point)...just ideal. The interior of the apartment is very new and modern.The use of natural wood and stylish designer touches throughout apartment has been given it a modern look with plenty of warmth and home comforts. The lounge is bright and modern. 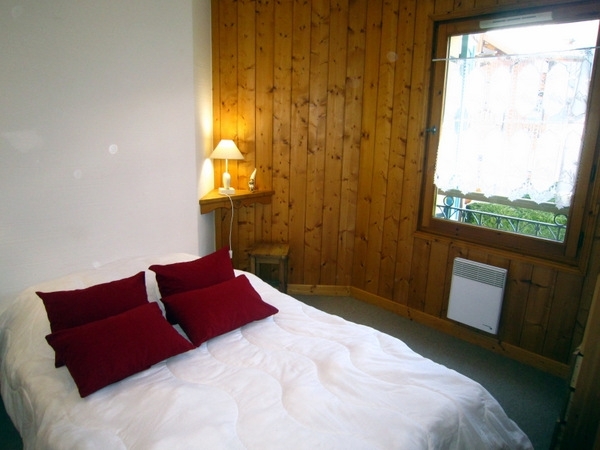 There is a sofa that converts into a double bed, additional comfy seating plus a wooden dining table and chairs. 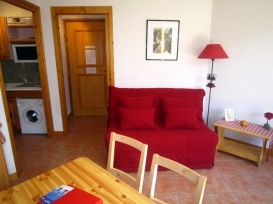 The lounge leads into the kitchen with all the essential facilities - modern and bright, the kitchen is fully equipped with a conventional and microwave oven, four-ring hob, dishwasher, extractor fan, fridge-freezer, washing-machine and plenty of cupboard storage full of utensils. 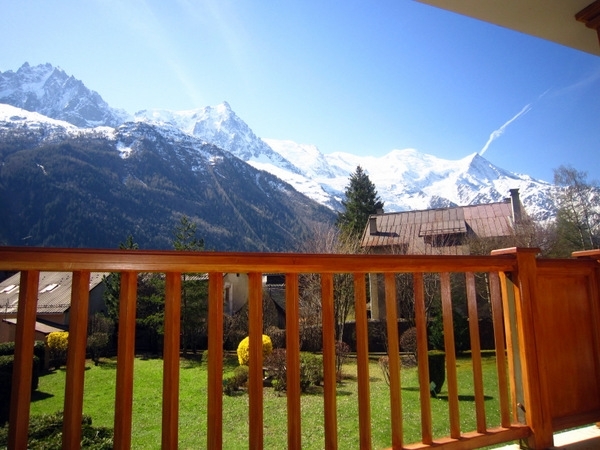 There are large glass French windows that open out onto a balcony with possibly just the most magnificent views of of Aiguille du Midi, Mont Blanc and the whole Massif. 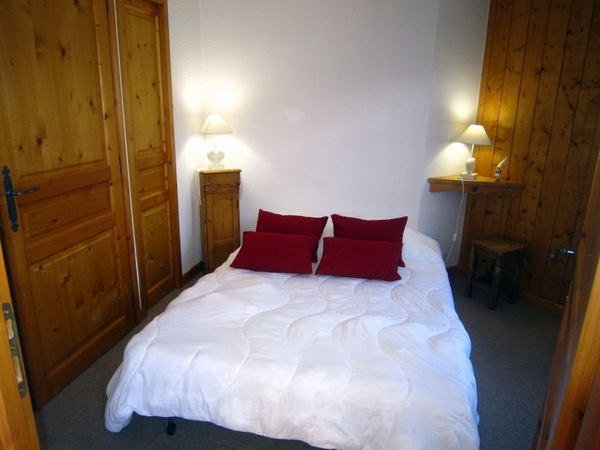 The bedroom has a double bed plus a built in/ walk in wardrobe. 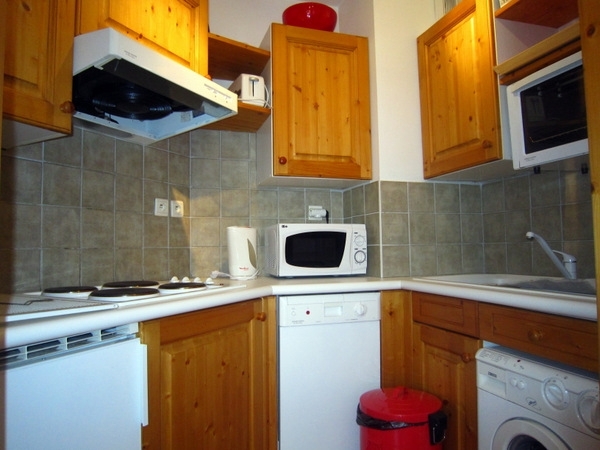 There is are drawers, a mirror, shelf and clothes hooks. The bathroom has a bath, shower, basin, and plenty of cupboards, plus a separate WC. There is a private lockable garage for your car, skis or bikes in the summer. 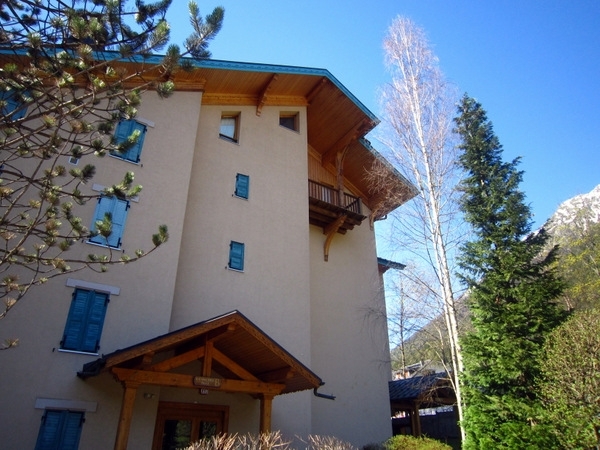 There are other apartments nearby making larger groups possible. This is absolute idea accommodation for a group or family of four, wanting to be central with the ease of the slopes only being across the path.